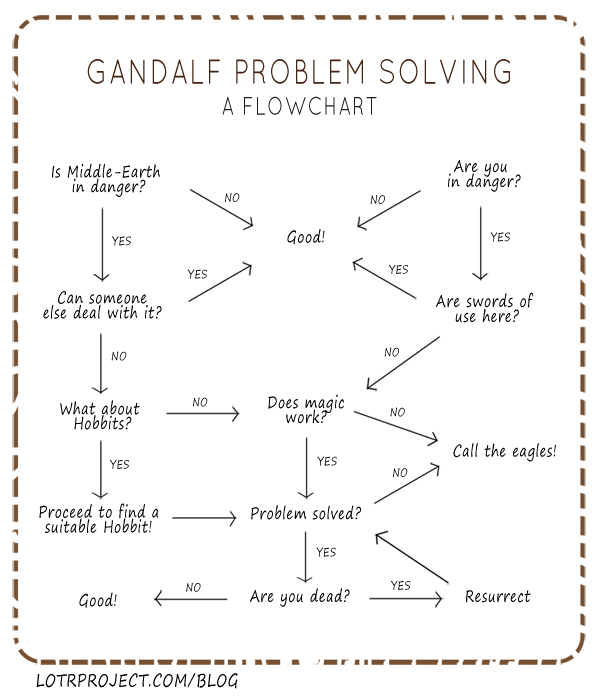 Emil Johannson of the LOTRProject assembled this simple flowchart analysing how Gandalf solves problems. He says that when there is no hope left, Gandalf will simply call the eagles. Which is probably a neat demonstration of why the eagles are such a dangerous literary device — something Tolkien himself recognised.